Keri Krieger is a modern day mystic, fusing her passion for spirituality with the ancient remedies of Chinese medicine and acupuncture to guide women in coming home to themselves. Our daily lives are filled with responsibilities and overwhelm, it is Keri’s mission to provide women with the tools they need to bring things back to basics so they can thrive as they are destined to do. Keri’s personal blend of coaching has been created over 20 years of working with women who crave magic in their day to day lives. She has tried and tested the navigation system she now uses to teach women to nourish their minds, bodies and spirits so they are able to to step away from over work, exhaustion, burnout and self loathing to experience personal peace, stillness and a deep love for life. Her passion for leading women through the process of breakdown to breakthrough was born from learning the hard way that living a life that isn’t aligned with your true self is cause for extreme pain and suffering. Now, she coaches women with the hope that her lessons can be their guiding light. Eight years ago Keri was a well-travelled Acupuncturist and the wife of an artist living overseas. The idyllic appearance covered the fact that she was deeply unhappy despite seemingly having it all. At 33 she knew things needed to change, she needed to change, and change they did. Throughout the next few years Keri called on each and every ounce of knowledge she had to navigate divorce, the death of a loved one and a barrage of challenging life circumstances. All of which saw her rise from the simmering rubble of her own adrenal burnout with the conviction that there was much easier and more loving way to live through trying times. For all women. She discovered that in both our practices and our personal lives, we must first nourish our most important relationship, the one we have with ourselves. Today Keri feels inspired, supported and extraordinarily grateful for the life she lives having long dreamed of becoming the woman she now is. 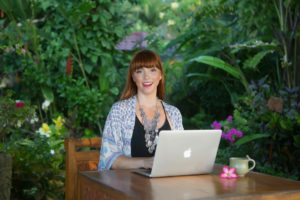 The road was not as easy one, which is why Keri’s blend of professional skills and personal experiences are the perfect combination when it comes to leading the way for women to create the lives they deeply desire. Keri has been practicing acupuncture for 18 years and working in the wellness industry for 20. 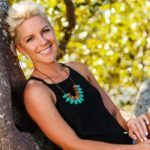 She has worked with several five star health retreats and boutique spas throughout Australia, Ireland and Asia as well as in her private practice. Keri’s claim to fame is Creator of Rockupuncture ™ a luxury spa modality. She has travelled internationally with Rockupuncture™ in collaboration with Gwinganna to Chiva Som in Thailand 2009 and as a delegate to the ISPA conference in New York in 2011. She spoke on the topic of wellness in the spa industry at the ASPA conference on the Gold Coast in 2013. It is Keri’s belief that the ancient wisdom of our feminine ancestors is with us and within us, always, and it is her mission to offer women a pathway to hearing that voice for themselves. If you find yourself here feeling that there must be more to this magical life, you have come to the right place. Let the healing begin.